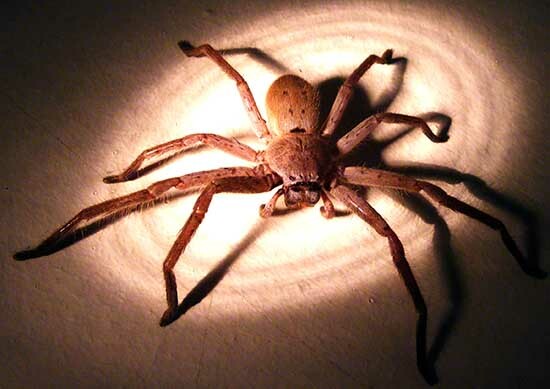 Every time I go through my bank of images I am less certain about the identification of these Huntsman Spiders. The male at the bottom is certainly the spider I was identifying as Isopeda Vasta. The female above may be but the female at the top has a different thorax and abdomen and a marking between the spots on its abdomen. 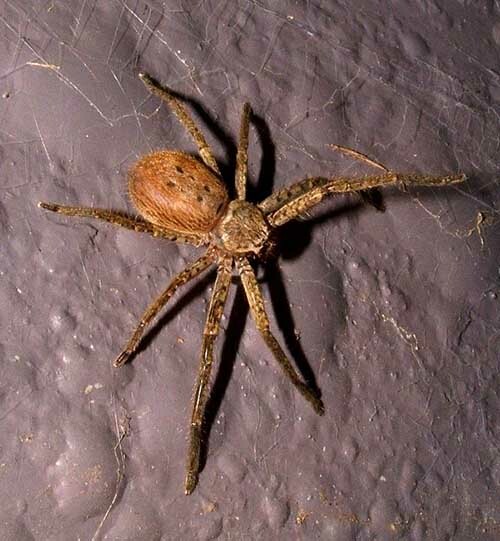 Its legs seem more stocky and shorter and they have a different markings. It is highly likely there are two more species hiding in my files as I. vasta one although I have seen how difficult identification can be. 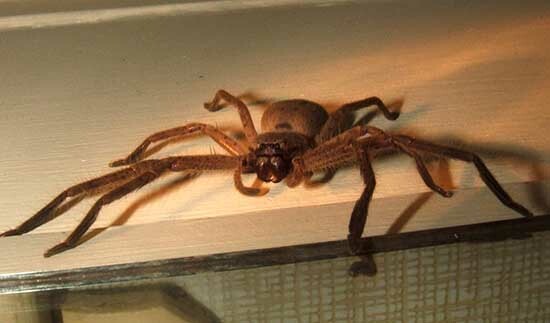 Big Huntsman spiders moved into the house at Budgewoi with great pleasure. The windows had no screens and the spiders were coming and going as they pleased for several years. What seem to have stopped them was a local extinction event. A steel fence replaced the ranch fence that allowed all the properties to share wide expanses of tree filled deep grass and old sheds. People moved into the surrounding propertis who wanted neat edging and killed anything they had not obtained from a garden supplier. I hate that kind of thinking.